Body of Christ Community Clinic is a member of the Evangelical Council for Financial Accountability (ECFA). 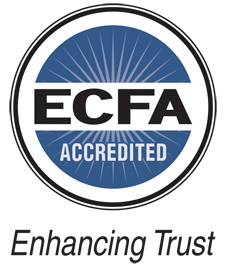 Membership in the ECFA entitles an organization to display the ECFA seal in promotional materials and appeals The ECFA seal is tangible evidence to donors that a ministry adheres to the highest standards of Christian ethics in financial accounting and reporting. Click link above to visit our ECFA page. Founded in 1979, the Evangelical Council for Financial Accountability is comprised of nearly 1,800 charitable, religious and education organizations which are qualified for tax-exempt, nonprofit status. ECFA’s steadfast purpose is to enunciate, maintain and manifest a code of financial accountability, ethics and reporting which is consistent with the enlightened and responsible Christian faith and practice. Every member organization shall subscribe to a written statement of faith clearly affirming its commitment to the evangelical Christian faith and shall conduct its financial and other operations in a manner which reflects those generally accepted Biblical truths and practices. Every member organization shall be governed by a responsible board of not less than five individuals, a majority of whom shall be other than employees/staff and/or those related by blood or marriage, which shall meet at least semi-annually to establish policy and review its accomplishments. The board shall appoint a functioning audit review committee, a majority of whom shall be other than employees/staff and/or those related by blood or marriage, for the purpose of reviewing the annual audit and reporting its findings to the board. Every member organization shall obtain an annual audit performed by an independent certified public accounting firm in accordance with generally accepted auditing standards (GAAS) with financial statements prepared in accordance with generally accepted accounting principles (GAAP). Every member of the organization shall exercise management and financial controls necessary to provide reasonable assurance that all resources are used (nationally and internationally) to accomplish the exempt purposes for which they are intended. Every member organization shall provide a copy of its current audited financial statements upon written request. Every member organization shall avoid conflicts of interest. Transactions with related parties may be undertaken only if all of the following are observed: 1) a material transaction is fully disclosed in the audited financial statements of the organization; 2) the related party is excluded from the discussion and approval of such a transaction; 3) a competitive bid or comparable valuation exists; and 4) the organization’s board has acted upon and demonstrated that the transaction is in the best interest of the member organization. All representations of fact, description of financial condition of an organization, or narrative about events must be current, complete and accurate. References to past activities or events must be appropriately dated. There must be no material omissions or exaggerations of fact or use of misleading photographs or any other communication which would tend to create a false impression or misunderstanding. Fund raising appeals must not create unrealistic donor expectations of what a donor’s gift will actually accomplish within the limits of an organization’s ministry. All statements made by the organization in its fund raising appeals about the use of the gift must be honored by the organization. The donor’s intent is related to both what was communicated in the appeal and to any donor instructions accompanying a gift. The organization should be aware that communications made in fund raising appeals may create a legally binding restriction. An organization raising or receiving funds for programs that are not part of its present or prospective ministry, but are proper in accordance with its exempt purpose, must either treat them as restricted funds and channel them through an organization that can carry out the donor’s intent; or return the funds to the donor. Organizations making fund raising appeals which, in exchange for a contribution, offer premiums or incentives (the value of which is not insubstantial, but which is significant in relation to the amount of the donation) must advise the donor of the fair market value of the premium or incentive and that the value is not deductible for tax purposes. On request, an organization must provide a report, including financial information, on the project for which it is soliciting gifts. Compensation of outside fund raising consultants based directly on indirectly on a percentage of what is raised, or on any other contingency agreement, may create potential conflicts of opportunities for abuse. Full disclosure of such arrangements is required, at least annually, in the organization’s audited financial statements, in which the disclosure must match income and related expenses. Compensation to the organization’s own employees on a percentage basis or contingency is not allowed. An officer, director, or other principal of the organization must not receive royalties for any product that is used for fund-raising or promotional purposes by his/her own organization. Property of gifts in kind received by an organization should be acknowledged describing the property of gift accurately without a statement of the gift’s market value. It is the responsibility of the donor to determine the fair market value of the property for tax purposes. The organization should inform the donor of IRS reporting requirements for all gifts in excess of $5,000. An organization must make every effort to avoid accepting a gift from or entering into a contract with a prospective donor which would knowingly place a hardship on the donor, or place the donor’s future well-being in jeopardy. The representative of the organization, when dealing with the persons regarding commitments on major estate assets, must seek to guide and advise donors so they have adequately considered the broad interests of the family and the various ministries they are currently supporting before they make a final decision. Donors should be encouraged to use the services of their attorneys, accounts, or other professional advisors.